Could Reinforcements spark an improvement? Just one biggish out as Alfie Mawson leaves the club after just 6 months. It was 6 months where he failed to adapt and his whinging was annoying me. £2m back to Swansea and we make a small little profit on the man. Two youth players who are very hot prospects leave to get some game time at decent clubs too boot. Look at that, no new players arriving as we struggled to find anyone in budget and to improve the side so it is case of sticking with what we have for the rest of the season. The only little bit of business done was i managed to secure a deal for Odsonne Eduoard to finally join us permanently after 3 years on loan from PSG. That deal will go through at the end of the season. Things have picked up though on the pitch as we concede just once in 7 games with performances picking up nicely. We smashed Lille 3-0 in the Coupe de France to book ourselves into the 10th round (we will face Red Star FC). Stade Rennais were first smashed 4-0 in the Coupe de Ligue Quarter Finals before losing again to us 1-0 in the league in a game we FM'd. Confidence was up and we were perhaps unlucky to draw 0-0 with high flying Lyon. It was an odd game but it did give me this piece of news which made the 15 year old kid in me giggle. A 2-0 win over Strasbourg despite being down to 10 men saw the machine keep its momentum before the big Coupe de ligue semi final against Lyon. A 2nd match against the side but our 3rd penalty in two games saw us take the lead and once we had that we were not losing with Reine Adelaide scoring late on to seal a Ligue Cup final against Bordeaux. That high of getting to the final probably saw us take our eyes off the ball against lowly Le Havre who have become a little bogey team of mine as we lost the final game of January. Inconsistency is costing us a true title tilt but we are in the fight for the Champions League alongside Monaco. The key is to try and drag Marseille and Lyon down to our level to make it a 4 horse race which is looking tough based on their current form. 5 wins and 3 defeats across the league shows that we are still battling for consistency but somehow we are still in the fight for the European spots sitting quite comfortably in 5th. WIth 7 games to go we do look pretty good for a 5th place spot and that would mean Europa League football for the 3rd straight season which isn't necessarily a bad thing but it does show that we have lost some momentum in the league to take us to that next level. I was hoping either Marseille or Lyon dropped off and at one point we were around 6 points off of them but slipping to 10 points probably kills that dream. Our only real hope is a Monaco collapse but they are starting to get into some form. The only two other matches during the two months has been the Coupe de France where we first beat Red Star 2-0 before beating Ligue 2 Side Stade Lavellois 3-0 to put us into the quarter finals. Perhaps we can win both domestic cups? 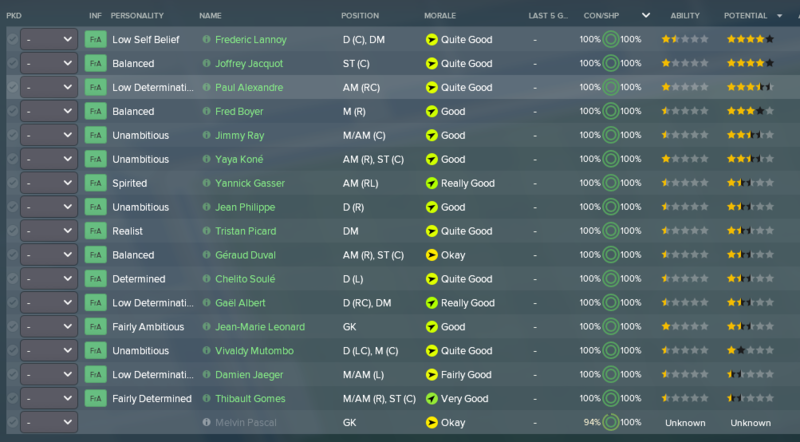 A fourth intake and it looks pretty good on paper with the two best players being Joffrey Jacquot who at 14 looks to be a real talent as a potential poacher striker. Just a shame we don't play with one at the moment. Frederic Lannoy though is a better player right now but is probably too short for a centre half spot but there is an option to make him a DMC which is far more appealing to be honest. Still (mathematically) in the title race! I expect nothing less than 1st this season! 2018-08-01 20:34#250521 Justice : Still (mathematically) in the title race! I expect nothing less than 1st this season! Ha! Ill give it a shot but right now its all about the cups! 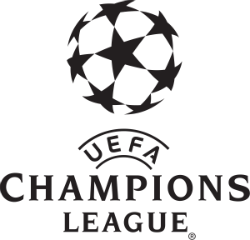 Could we get Champions league football? Or would we miss out again. Firstly thank you for voting me again story of the month and apologies i have been a little quiet with the real world taking over. I should get a bit more time over the next few weeks to allow a few more updates. The Champions League spots were just out of reach as we lost just once in the last two months but we couldn't catch Monaco or Marseille and it was a 5th place finish. One place worse off than last year and 3 points worse off to boot. 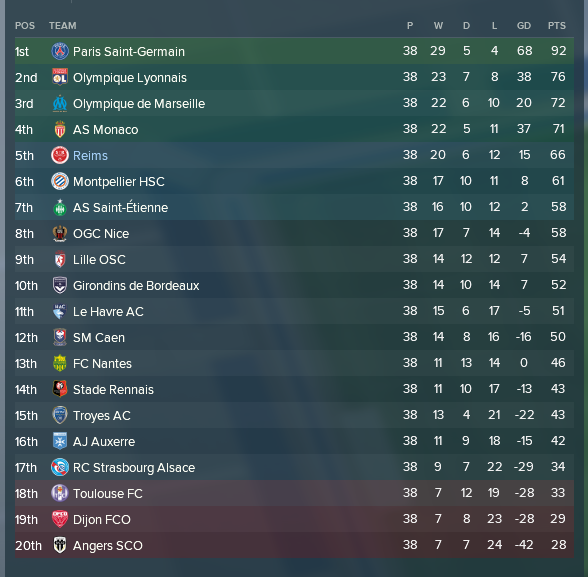 To be fair in my 3 season in Ligue 1 we have finished with 63 points, 69 points and 66 points with 6th, 4th and 5th place finishes to go alongside it. The frustration is building as to how do i get this side in the Champions League but in reality what i have done is above and beyond what was expected at the start of the save. However, next year we have to finish in a Champions League spot for my own sanity at the very least. However, we knew the season was also about the cups as we had the Coupe de Ligue final against Bordeaux and we were still in the Coupe de France Quarter finals. Starting with the Coupe de France, we easily beat Lens in the quarter finals to set up a semi final against PSG. 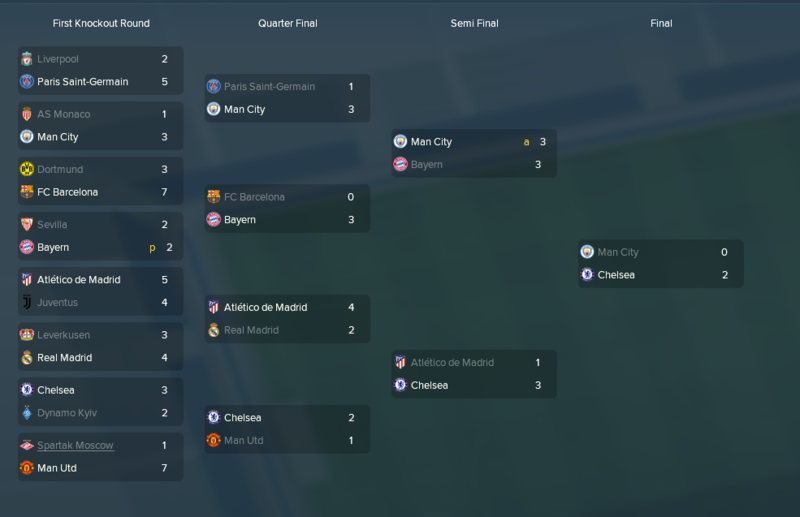 Bear in mind, i am now in my 4th season and the semi final againt PSG saw us lose for the first time in 90 minutes in this competition as PSG were just too good beating us 3-1 to end our hopes of that piece of silverware. However, we still have the Coupe de Ligue and Bordeaux were the opponents for the final and the boys were up for it as we scored 4 times in the first half with Edouard slotting home two penalties to seal the trophy with a 4-2 victory. That is now 4 seasons and 4 trophies (Ligue 2, Coupe de France, Coupe de Ligue, Trophee des Champions). The question is can we get an even bigger trophy in our 5th season? 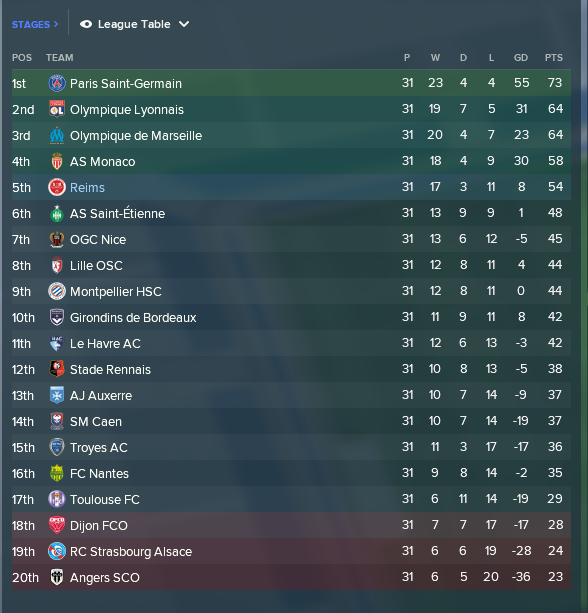 An interesting year for us as on paper it looks like we haven't improved as we got less points and finished a place lower than last year but we can't underestimate trophies and a Coupe de Ligue helps confirm we are one of the bigger clubs in France right now. It was a weird year as previously it has been goals that have been our biggest strength but this was a season where we struggled to score but were much much better in defence. We had the 4th best defence and we looked much more solid than our previous two years in the top flight. Kevin Trapp breaking the clean sheet record was no surprise. We need to push on and i think this has to be our biggest window yet as we need to search for some new faces to push ourselves onwards and upwards. Once the season was over, this piece of news came up which isn't too much of a shock as we have been maxing out the stadium for the last 3 seasons. It is nice to see as we need a bigger home if we are to compete in anyway with the money of the other sides in this league. The stadium wasn't the only piece of shocking news after the season ended. So Lyon must have broken FFP regulations and as were in 5th we have taken their Champions League spot and we will now play in the premier European competition next season. Due to France's coefficients we will even go straight into the group stages! We better get buying than!!! All of the usual suspects from the quarter finals onwards with the holders Atletico Madrid being knocked out in the semi finals. It meant another all English final with Chelsea beating Man City meaning City have now lost two finals on the bounce and keeping them eligible for the future. Season number 5 and a Champions League season. I smell some big changes and here is what happened. Straight from the off, i had to look at clearing out some deadwood. What you won't see on the above screen is that veterans and originals Bouhours and Da Cruz were released alongside winger Mannet-Paquet who were all reserves last season and not getting games. 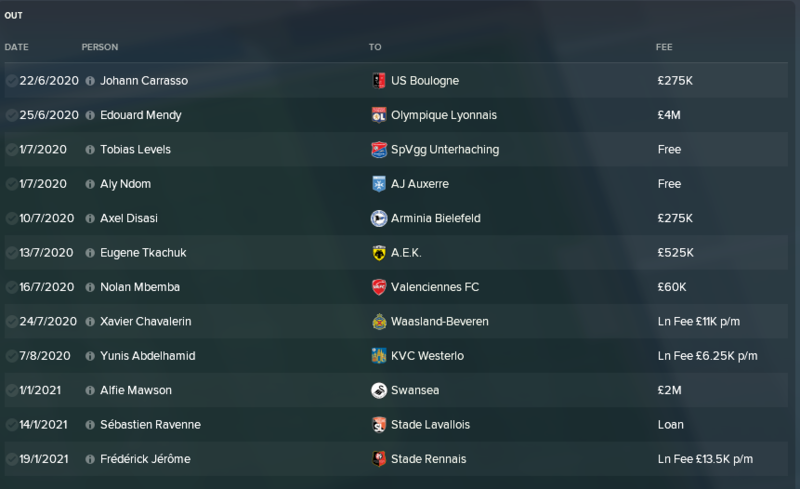 Leandrinho and Reine-Adelaide's loan spells were ended with Reine-Adelaide choosing to go to Germany instead of moving here permanently whilst i decided not to renew the Brazilians loan for a 4th straight season. With that done i looked at the right back spot. Both Vidal and Coleman were poor last year and i am not sure if it was a language thing or a tactical problem but both were moved on. Vidal moving to Auxerre for £650k which was a small profit whilst Coleman moving to Wolves for £3.5m recouping most of the money we paid for him 12 months earlier. The only other big name player to leave was Cabaye who moved on to Russia with his legs starting to give at 35. Outside of that, we see some youngsters / fringe players go out on loan for game time and some reserves leave permanently. 9 New faces and some names you might just recognise. Odsonne Edouard is a talented striker who spent the last 3 years here on loan and with his contract running down at PSG it made sense to bring him here on a free transfer. 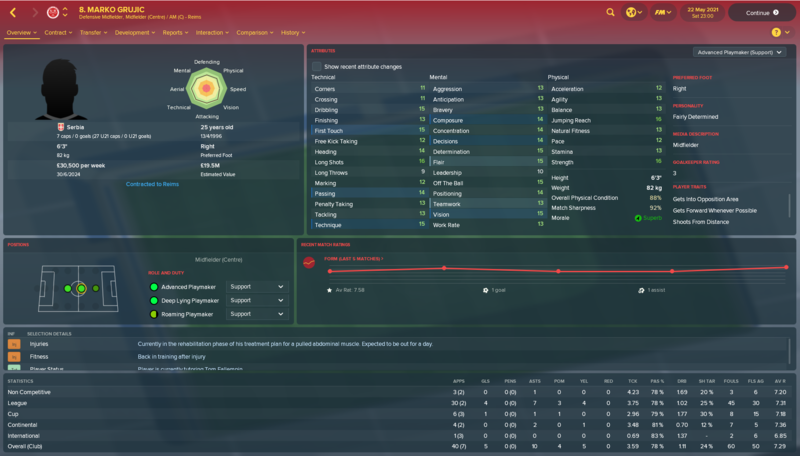 He will have competition this year though as a 2nd striker moves to Reims from PSG and he is kind of a big deal. Edinson Cavani is now a Reims player at the age of 34 but he still has the ability to dominate in this league. We haven't had 3 strikers on the books since the 1st season so it will be nice to have options for the 1st time. We obviously sold both our right backs so we needed two to come in. I wanted to concentrate on French speakers hoping that will help performances. 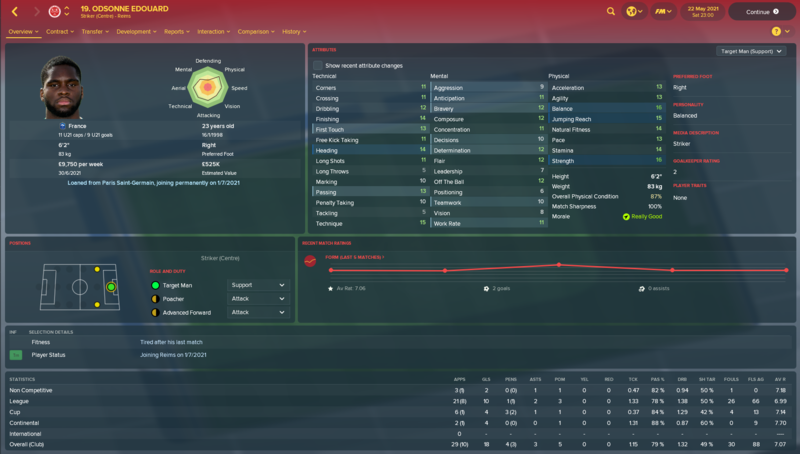 Alec Georgen was the 3rd new man from PSG joining for £2.5m to probably be the first choice whilst Moussa Wague joins from Eupen on a free to be his cover for the season when he is back from injury. With Cabaye and Da Cruz leaving we were short in the middle of the park. Two young midfielders have come in both for £4.4m. Matteo Guendouzi and Gennario Ruggiero both join to give us youth and competition for Meite and Grujic. The final man to join was a loan deal for Argentinian youngster Tomas Cuello who gives us options on the wing for the season. We smashed through pre-season winning every single game including dominating wins over Galatasaray and Konyaspor before we went into a French league campaign starting a little earlier than normal. 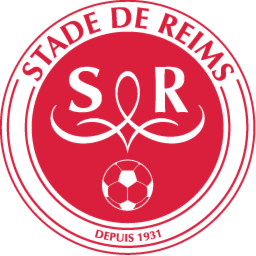 In the competitive fixtures it has been a mixed bag as we have seen the best and possibly the worst of Reims over the four league games so far. 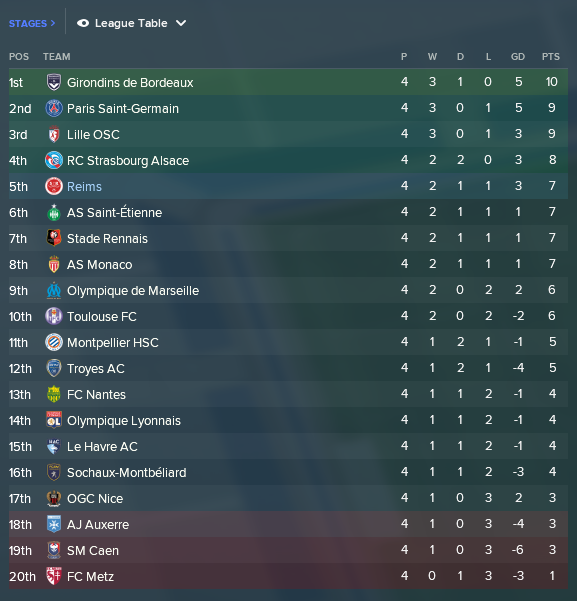 We smashed Toulouse 3-0 with Cavani having an impressive debut before losing to lowly Auxerre and than struggling to a 2-2 draw against Le Havre. 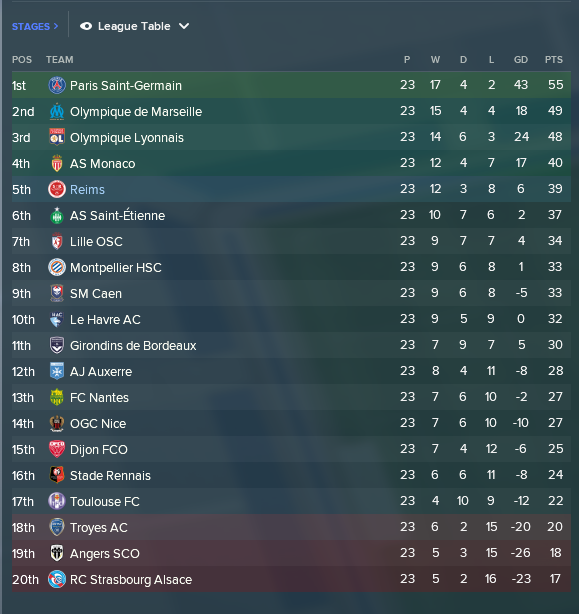 A 2-1 win over Lyon just before the window shut though has elevated us to 5th after 4 games. Early days but we are going to need to up our consistency to become a title challenger or to even secure a Champions League spot. However, with the amount of turnover in players i have to expect some up and downness for awhile.